Re: Official L6 production numbers? Still looking...will update with links if I find any. I just got off the phone with a gent at BMW USA, I gave the VIN and he could not locate my L6? I had called to ask about the numbers of L6's built in USA. He asked me for address and phone number. So maybe I will get to the bottom of this mystery yet. I will update with more info as I am on a hunt to find the build numbers for the "Oliver North car of the excesses of the of the 80's" as Jaloponik calls the 6 series on their website ha! I think I found pay dirt! So does anybody have any official production numbers of the L6? I am stumped here...please help. Since BMW didn't break down the 1987 and beyond VINs into L6 and other, there's no way to know for sure. Not only that, but some later E24s were labeled L6s (on the door jam sticker) that weren't what is usually considered true L6s. Thanks I heard from some random guy he said that there were about 1,200 built. 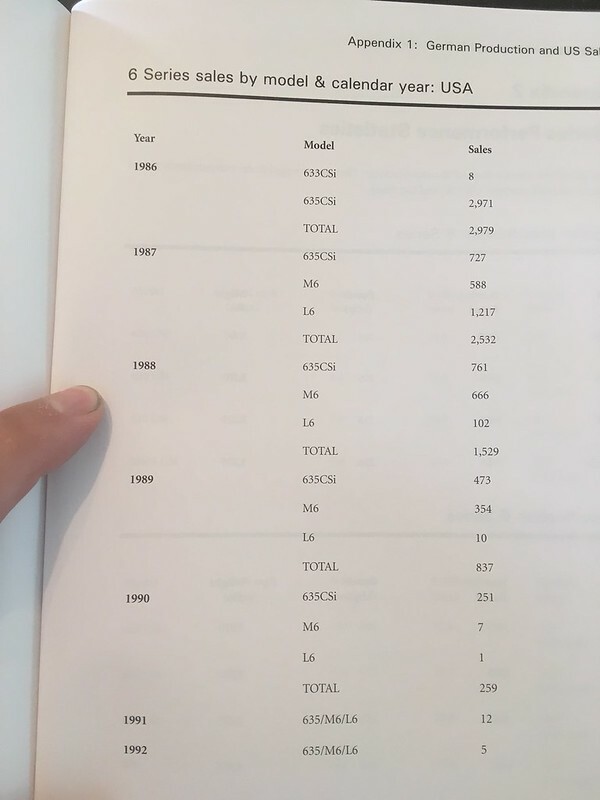 But that was just his estimate, as he says his GF owns an L7 and eh claimed that there were only 1200 of that model built so he justified the L6 prodution numbers against this. I still am seeking the truth just like in the X Files "The truth is out there" and "I still believe" HAHAH! Not to sure how accurate this is as there seems to be a few mistakes and oddball statements in this book. Its mostly from a British / Euro prospective so theres less info on the NA models etc. WOW! Thanks a bunch, I have heard rumors of 1,200 before but seeing it print lends some weight to this idea. I phoned BMW USA head office but got no where with them. Mine has the date as 12/86 so classified as 1987 on VIN insurance etc. With the older BMWs there was always a code sheet / strip under the rear seat that had all the build details on that particular car. 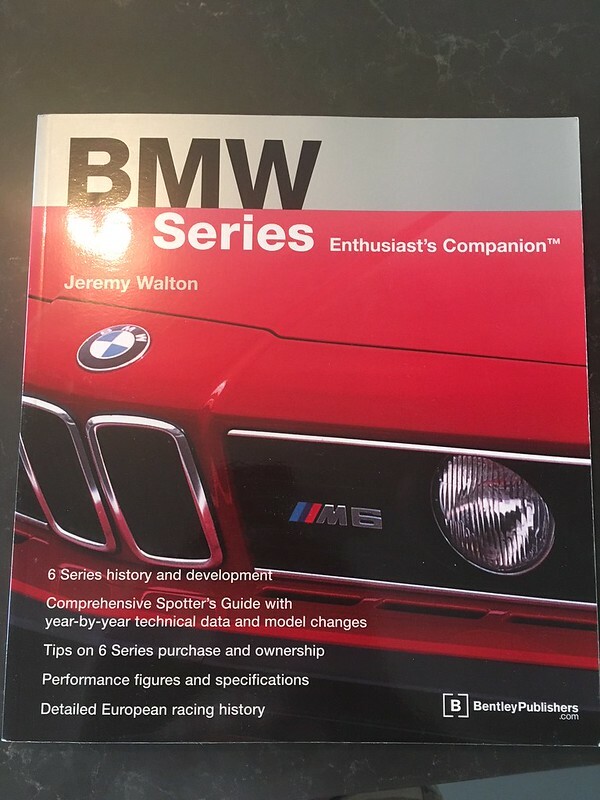 If you can find out what the "Sonderausstattungscode" for the L6 is, (assuming that this package was covered with only one code number) then you should be able to ask BMW Classic how many cars with that code were sent to the US in any given year. At least it would be a plausibility check to the information in the Walton book. Wow cool man I never knew about that code # when I owned my other 3 bimmers cheers matey!